An easy living concrete design in tonal greys with flowing script to add a touch of drama. With its textured surface, this wallpaper is easy to hang and provides a tactile finish. Due to its moisture resistance, this wallpaper is suitable for most rooms including kitchens and bathrooms. This enchanting, swirling scroll is delicately embellished with a light sprinkling of shimmering glitter. The palette is subtle in grey and warm white colours with a hint of silver glitter. Experience the sophistication and personality wallpaper adds to your dicor without the hassle. Bring the outdoors in with this sophisticated forest silhouette. The varied shades of grey trees in this paper are lightly textured and embellished with subtle micas and glitters. Cover all 4 walls for a dramatic cocooning effect or use it on a feature wall to let this enchanting forest draw you-inch Eternal is available in several other colours to suit your style. Medium scale tile design creates contemporary style in your home. Textured vinyl in grey colours with a hint of metallic shimmer adds interest to your walls. This wallpaper uses paste-the-wall technology, so it's quicker and easier to hang and comes off the wall in full strips. Small scale stone design creates contemporary style in your home. Flat paper in white and grey colours with a hint of metallic shimmer adds interest to your walls. This wallpaper uses paste-the-wall technology, so it's quicker and easier to hang and comes off the wall in full strips. 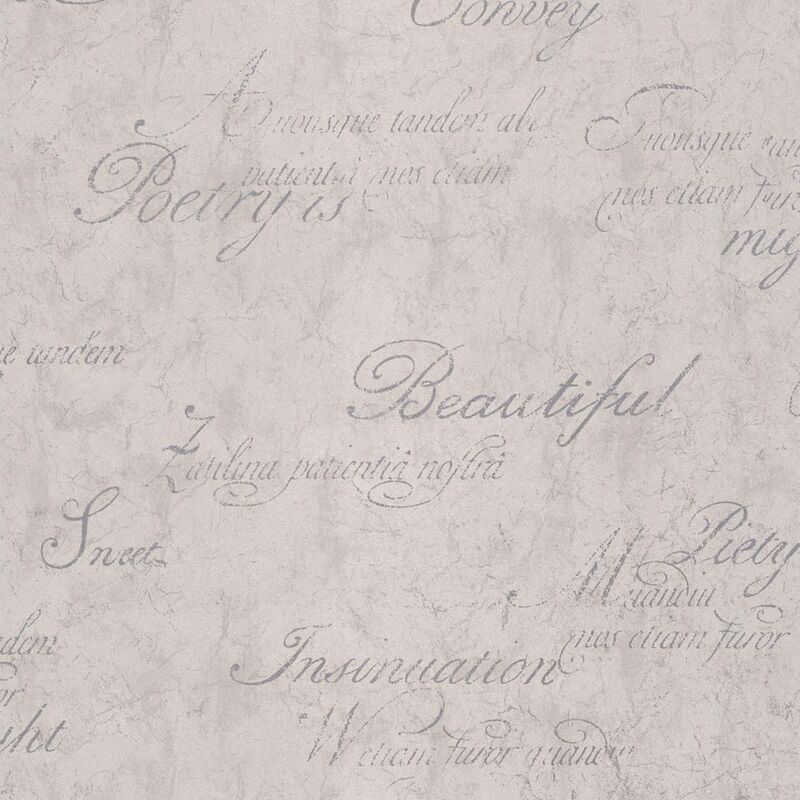 Concrete Script Grey Wallpaper An easy living concrete design in tonal greys with flowing script to add a touch of drama. With its textured surface, this wallpaper is easy to hang and provides a tactile finish. Due to its moisture resistance, this wallpaper is suitable for most rooms including kitchens and bathrooms. Concrete Script Grey Wallpaper is rated 2.0 out of 5 by 1. Rated 2 out of 5 by Denise from Sort of a dull look for the space that I... Sort of a dull look for the space that I intended to use.